In this part of the project we’ll start concentrating on the output requirements. Click OK to add the Writer. A route is a route to be followed, a track is a route that has been taken. 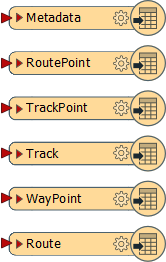 We also need to create a single feature (of any geometry) to set as a Route (not RoutePoint) feature. So, place a Creator transformer and connect it to the Route feature type. 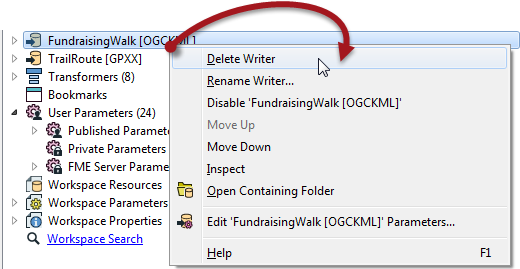 Now run the workspace and examine the GPX output in the FME Data Inspector to ensure it is correct.